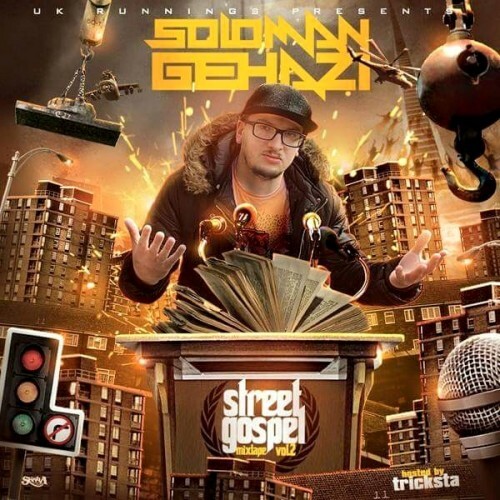 West Midlands based rapper Soloman Gehazi drops the second instalment of his Street Gospel Mixtape series in conjunction with the legendary UK Runnings mixtapes series. ‘Street Gospel Vol. 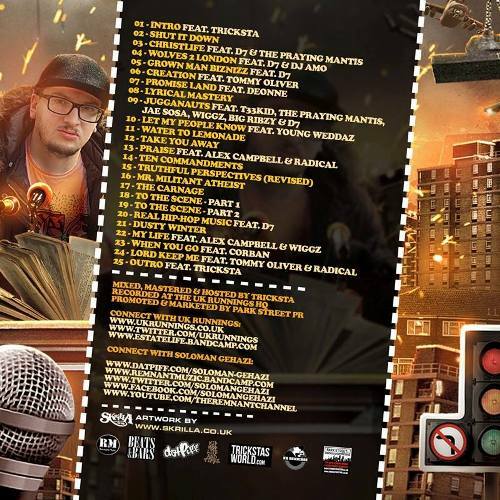 2’ is hosted by Tricksta, a DJ who has previously released mixtapes with the likes of US acts such as Papoose & Sheek Louch and UK acts such as Skriblah from Terra Firma and M9 from Triple Darkness. This brand new twenty five track free download is a UK Hip-Hop mixtape everyone needs in their collection and it features guest appearances from D7, The Praying Mantis, DJ Amo, Tommy Oliver, Deonne, T33k1d, Jae Sosa, Wiggz, Big Ribzy, Young Weddaz , Alex Campbell, Corban, Radical with original production from by Viggers, Nangfood, Termite and Mastaplanet. Soloman Gehazi’s unique flow and conscious outlook are a few of the traits that have made him a popular choice with promoters across the country and he has shared stages with a wide range of artists including the likes of Lunar C, Malik MD7, Genesis Elijah, Meeks, Raggo Zulu Rebel, Kingpin and many more. This new mixtape he covers a wide range of subjects and topics dropping science over a selection of Boom Bap and Hip-Hop inspired production, always remaining lyrical as well positive. With so much music being made these days it’s hard to find music with staying power and that’s what we have here, this is timeless music for Hip-Hop lovers.